The representative of Qatar, speaking in exercise of the right of reply, said the United Arab Emirates’ statement was a continuation of false claims and allegations by parties to a blockade aimed at defaming his country and hurting its relations with other States. Many countries had spoken of the negative impact of that unjust blockade. Qatar’s record in confronting terrorism was known to all and it would always be firm in implementing Security Council resolutions on terrorism. He said the United Arab Emirates must stop violating Council resolutions on Libya and to cease creating chaos and launching conflicts. 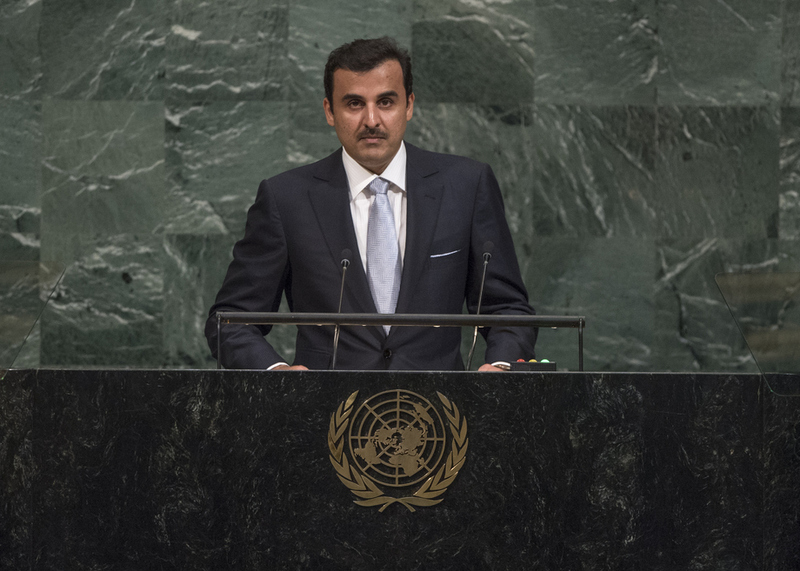 Qatar also called on the international community to condemn the blockade. Speaking in exercise of the right of reply, the representative of the United Arab Emirates responded to Qatar. Speaking in exercise of the right of reply, the representative of Egypt responded to Qatar. On a second intervention, the representative of Qatar said it was truly regrettable that the representative of the United Arab Emirates would attack Qatar. It was not, however, surprising. The United Arab Emirates had recently hacked a Qatar news agency. The lies included in the United Arab Emirates statement were just a continuation of its fabrication campaign. Any link between Qatar and terrorism was false. Such abominable attempts to taint Qatar’s reputation had failed. The representative of Qatar, speaking in exercise of the right of reply, said that in their statements, Saudi Arabia and Bahrain had accused his country of terrorism, when Qatar in fact had an excellent record in countering terrorism. Those countries participating in the unlawful campaign against Qatar were frustrated and using commercial means to put pressure to bear on it. Rather than accusing Qatar of supporting terrorism, it should follow its example, he said, adding with regard to Bahrain that fabricating problems with Qatar to obscure internal problems would not yield results. Speaking in exercise of the right of reply, the representative of Bahrain responded to Qatar. The representative of Qatar, taking the floor a second time, said it was regrettable that Bahrain was attacking his country. The unjust measures taken against Qatar ran counter to the global anti-terrorism strategy, which was based on respect for human rights. There was no substantive evidence that Qatar had funded terrorism, and allegations that his country had interfered in the internal affairs of the four countries were false. Concluding, he said that as he could not take the floor a third time, further comments would be submitted in writing.